The revelation earlier this year that hundreds of thousands of students with a disability are in school without any additional funding to support their education has been reinforced by new statistics. 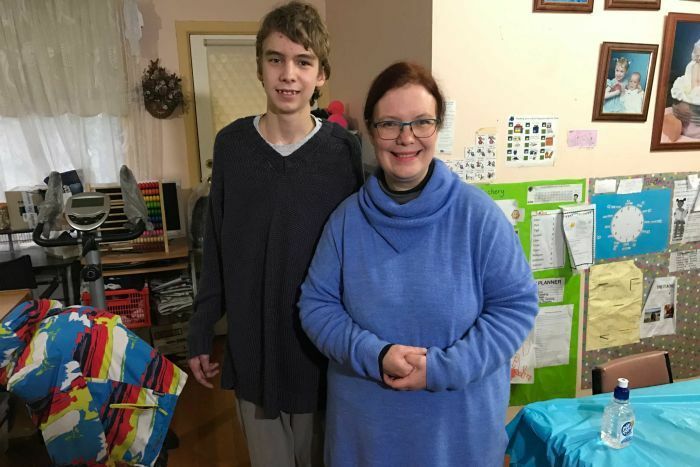 The Nationally Consistent Collection of Data (NCC) for 2016, released this week by the COAG Education Council, showed 12.4 per cent of all Australian school students — about 470,000 students — received some form of support due to a disability that required additional funding. That is more than double the number currently getting federal and state government assistance for their education, according to figures from the Productivity Commission. The gap in funding for 2016 was virtually unchanged from the year before — 269,000 students with a disability are in school without any additional funding for their education. Samuel Weston, 15, is one of those students. "I really wish the Government funded people like me. Because otherwise if they didn't, these people would continually struggle," he said. Samuel lives with high-functioning Autism Spectrum Disorder. He is now at TAFE after studying for three years at Patterson River Secondary College in Melbourne's south. While at school, he attended classes with an integration aide — an education specialist who sat with him. "The aide helped me. It would be a lot harder for me to achieve my goal if I didn't have an aide," he said. His mother, Alison Weston, said without an aide Samuel would not have been able to stay in school. "He just would've been lost in the system. Everything from making sure he turns up to class on time to sitting in class the whole time," she said. Patterson River principal Daniel Dew said: "He had to have an aide. There was no doubt about that." But Samuel did not meet the criteria for additional funding for a student with a disability. The school had to find as much as $40,000 a year to pay for an integration aide out of its regular budget. Mr Dew's school has an annual budget of $12 million. But 90 per cent of that goes to staffing. Finding $40,000 to meet the needs of one student out of general revenue is not easy. "It can be a challenge," Mr Dew said. Previously, Education Minister Simon Birmingham questioned the disability figures, calling the 2015 NCC data "disappointing". The statistics rely on surveys filled out by school principals and teachers. The Government was so concerned about the numbers, it hired consulting firm PricewaterhouseCoopers to review how the data was gathered. It released its report, the Continuous Quality Improvement Project, this week. "The work undertaken [by PricewaterhouseCoopers] last year has found that at a national level, the data is broadly reliable," Senator Birmingham said this week. Schools are asked to report the number of students enrolled who need some sort of financial support due to their disability. With the 2016 NCC data essentially mirroring the result of the previous year, this week Senator Birmingham's tone regarding the statistics had softened. "Part of our reforms is to see that data actually start to be used to inform funding decisions in the future," he said. That data suggests the Commonwealth and the states and territories may have to pay billions more to support the 269,000 students with a disability who currently receive no additional funding. At Patterson River Secondary College they are used to shifting dollars around to help pay for services for students with a disability who do not qualify for additional funding. But they do not brag about it. "You don't see many schools that go out and boast about how well they do with children of a disability," Mr Dew said. That is because the lack of funding has led to a well-known phenomenon — 'handballing'. In order to avoid enrolling "unfunded" students with a disability, some schools steer them toward schools that have a good record of scrambling to meet their funding needs. 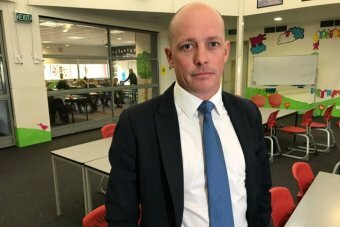 "If the funding's not meeting the requirements for that child [with a disability], they almost can be seen as a liability to a budget," Mr Dew said. "As opposed to being seen as any other child, which they should be."